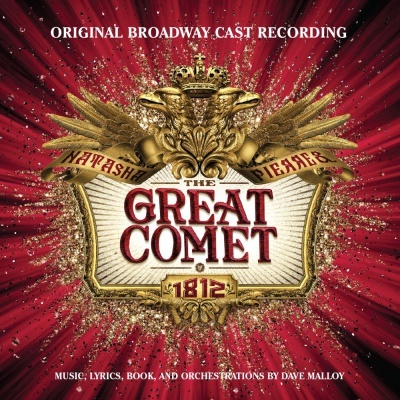 Альбом "NATASHA, PIERRE & THE GREAT COMET OF 1812"
With his sixth album, All That Echoes, Josh Groban has at once built on the touchstone artistry that has made him a global pop star for more than a decade and expanded his ambitious reach into richly rewarding new territory. The inspiring first single “Brave” shows off his accomplished, personal songwriting as one of seven songs on the album he co-wrote. And inspired choices of other’s songs, from the Academy Award-winning “Falling Slowly” from the movie and Tony Award-honored spin-off Broadway musical Once to Stevie Wonder’s “I Believe” through his continued explorations of the poetry of Spanish (“Un Alma Mas,” featuring Cuban-born trumpet great Arturo Sandoval) and Italian (“E Ti Prometterò,” a duet with Italian star Laura Pausini), spotlight his singular talents as a masterful interpreter. Working for the first time with producer Rob Cavallo (the Warner Bros. Records chairman whose production credits cover Green Day’s many groundbreaking albums, Goo Goo Dolls, Fleetwood Mac and many others), Groban pushed himself to fully capture the spirit of his acclaimed concerts, fueled by his vibrant bond with legions of his fans, the famed Grobanites. “The album was really sparked by an energy I had on the road,” he says. Any of the hundreds of thousands who saw his shows in support of 2010‘s Illuminations, in which his writing and ambition took full flower, knows what he’s talking about. Those concerts were at turns playful and intimate — even in arena settings — and affectingly powerful, with equal measures of musical virtuosity and spirited, spontaneous personality. The latter has also brought him a rising career in movies and television, with an hilarious recurring guest role on The Office, a sparkling part in the hit Steve Carrell/Julianne Moore film Crazy, Stupid, Love and a as costar of the upcoming small-ensemble comedy Coffee Town. “I thought, ‘This is the energy, the dynamic I want for my next record, the feeling I’m getting on stage,” he says. When he and Cavallo had dinner after a show in Chicago to discuss the possibility of working together, it was clear right away that they had the same things in mind. To achieve this, Cavallo — the 1998 Grammy Awards producer of the year — devised a creative studio approach. Though as a producer he’s best known for his rock work, he’s had a greatly wide-ranging career and, he notes, was raised immersed in the classical world thanks to his opera-loving grandparents — Luciano Pavarotti was a family friend who would visit, drawn largely by his grandmother’s cooking. The chance to bring all those worlds together in one project was a challenge he relished. Working at the famed Ocean Way Studios in Hollywood, he started with an all-star core band: drummers Matt Chamberlain and Abe Laboriel Jr., the latter having just come off the road anchoring Paul McCartney’s band; bassist Chris Chaney came from Jane’s Addiction; in-demand guitarist Tim Pierce joined with credits ranging from Madonna to Dave Matthews, and keyboard player Jamie Muhoberac has worked with the Rolling Stones, Fleetwood Mac, Seal, My Chemical Romance and many others. To this, the producer added the secret ingredient, a trio of the top orchestral session artists in L.A. in cellist Dane Little, violinist Charlie Bisharat and harp ace Gayle Levant. And then, to provide as fertile an environment as possible, he gave them and Groban a sense of complete freedom. Most of what’s on the album was from the first few takes of each song, with the spontaneous spirit intact. Even the full orchestra parts, added later, expanded directly from the music created by the three strings players in the initial sessions. And the vibe extended outside the studio. It went literally outside the studio in the case of “Hollow Talk,” a song that originated with the Danish indie band Choir of Young Believers.” It’s a song of complex musical turns and intertwined emotions, building from an intimacy to a big, expansive sound with orchestra and bagpipe. 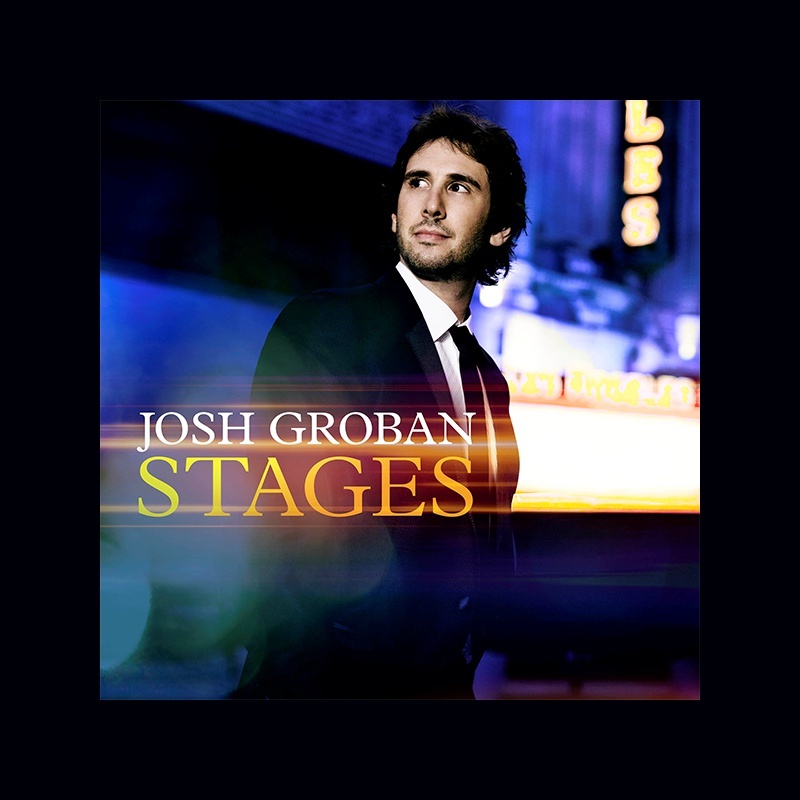 Groban remarked in the studio that it brought out the vision of a lonely girl walking down the street — and engineer Allen Sides, inspired, took a microphone out onto Sunset Boulevard to record street noises. 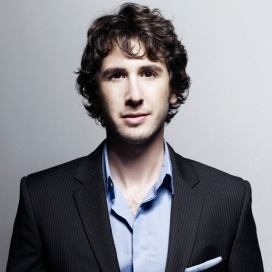 Groban was inspired to push himself as a writer, expanding on the achievements on Illuminations, the first album to be centered on his own compositions. “Brave” saw him team with long-time collaborator Tawgs Salter and singer-songwriter Chantal Kreviazuk. The lyrics and melody for “Below the Line,” co-written with Salter and Simon Wilcox, were formed on the day Groban participated in Life Below the Line, for which people subsist on $1.50 for a day in order to understand the levels of true poverty. Another regular collaborator, Lester Mendez (who also produced two songs on the album), teamed with Groban on “False Alarms” and, along with Salter and Italian lyricist Marco Marinangeli, “E Ti Prometterò.” For a second Italian song, “Sincera” he reunited with acclaimed producer-composer Walter Afansieff (who produced the song) and Marinangeli. A few years back, Groban found himself sitting next to one of his heroes, iconic writer Jimmy Webb, on what turned out to be a harrowingly storm-tossed New York flight. Here, he steps up to tackle Webb’s “The Moon is a Harsh Mistress,” a song of complicated emotions that has tantalized with past interpretations by such stars as Judy Collins and Linda Ronstadt. And the haunting traditional Irish song “She Moved Through the Fair” came to him while “having my late-night glass of wine and trawling YouTube” via a live solo version by English folk-rock legend Richard Thompson, another long-time Groban favorite. And to tie it all up, the album ends with the Stevie Wonder classic.